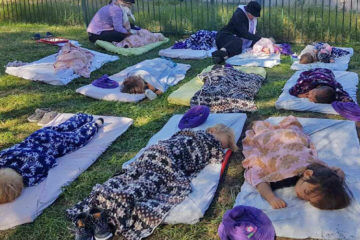 Looking for a new way to enjoy outdoor play with your little one? Bring on the mud. And the mud kitchen! What is a mud kitchen, you ask? 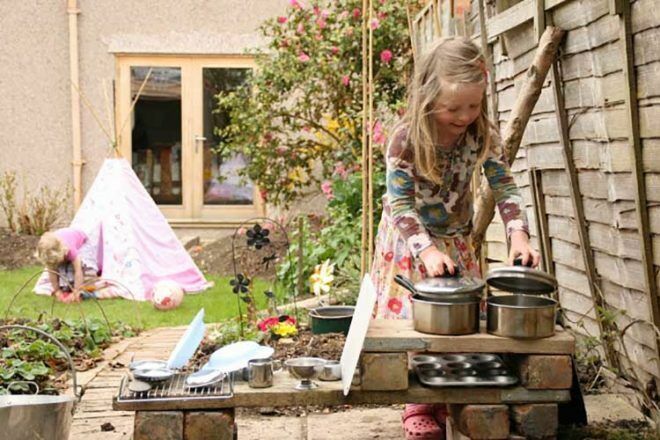 A mud kitchen is an outdoor pretend play cooking area, complete with everything your child needs to conjure up culinary creations from nature’s dirtiest ingredients. It can be as simple – or as fancy – as you like. 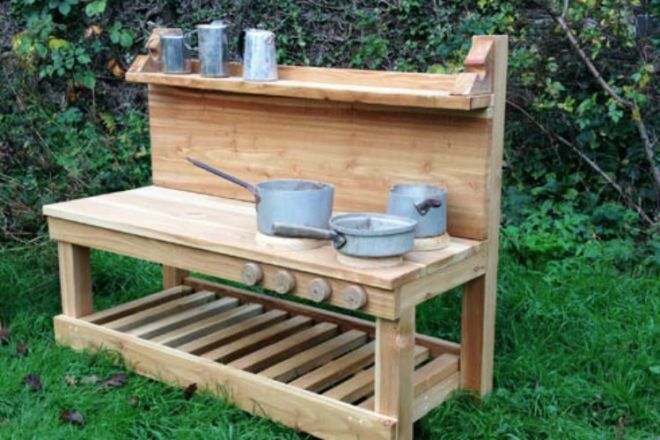 Here are a bunch of ideas to help craft a super mud kitchen for your little outdoor chefs. 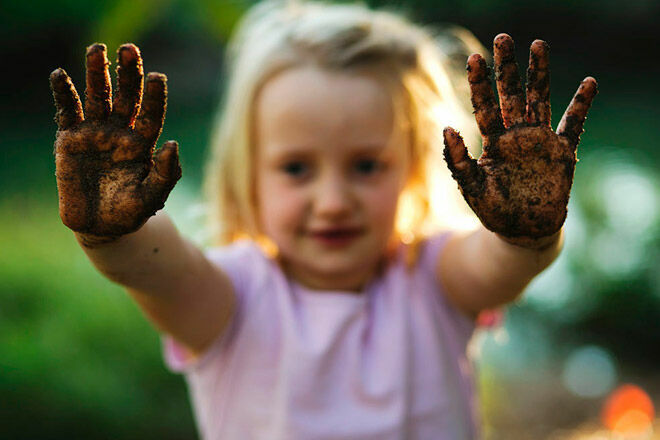 Let the muddy outdoor play begin! Mud kitchens can be made out of pretty much anything. 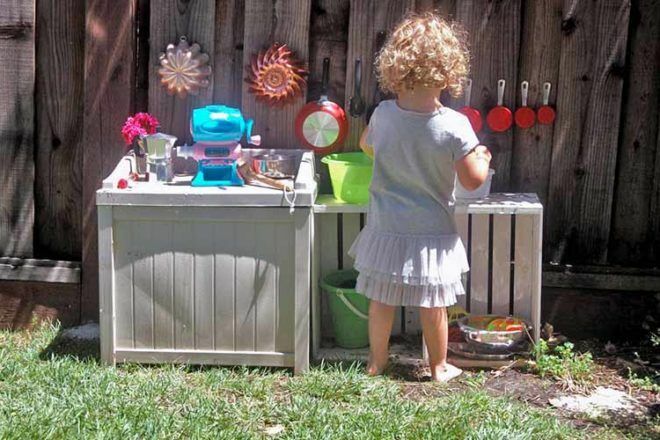 If you have an old toy kitchen that your kids no longer use, you may want to bring it outside rather than throw it away. Many companies such as Castle and Cubby (above) and Earthwrights (below) design ready-made mud kitchens out of recycled pallets or bits of timber. 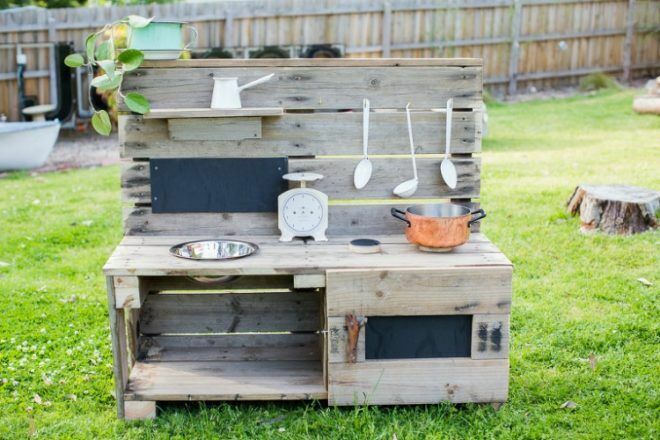 However, if you like a DIY challenge and have some scrap wood and a few bricks lying about the place, you can easily make your own basic mud kitchen for the kiddo’s, just like the cute one at the top of this post. 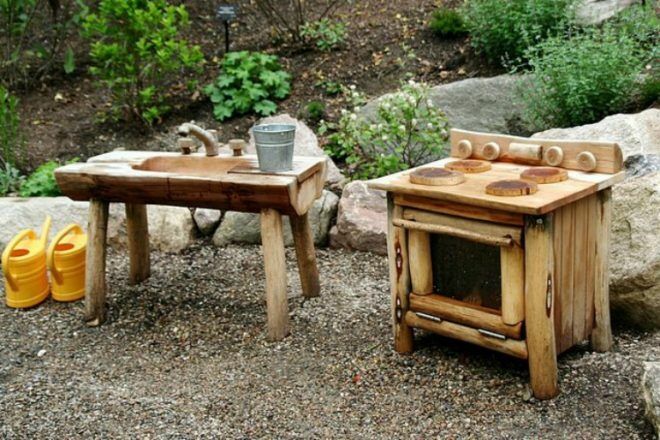 It’s not a mud kitchen without adequate cooking facilities so include an oven and a stove somewhere in your set-up. Paint the stove elements on to a piece of timber, or use timber scraps to mark them out. If you have an old microwave, remove the power cords and add it to your outdoor play kitchen space. 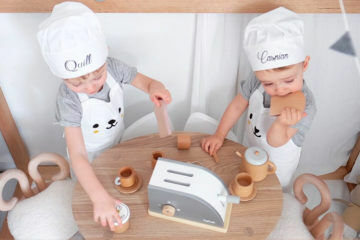 After all, how are the little ones going to bake their mud pie without appliances? Have a bunch of old crockery laying around the house? Now’s the time to put it to good use. 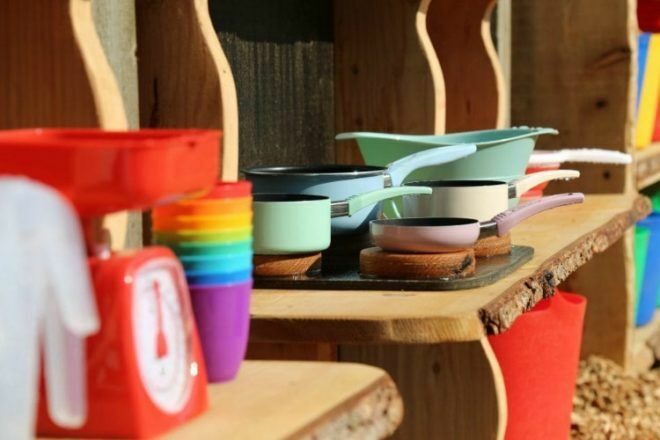 Simply collect your pots, pans, containers, cake tins, measuring cups, strainers and anything else you don’t use anymore and add it to the mud kitchen area. If you don’t have anything suitable at home, a visit to the op shop will stock the shelves. 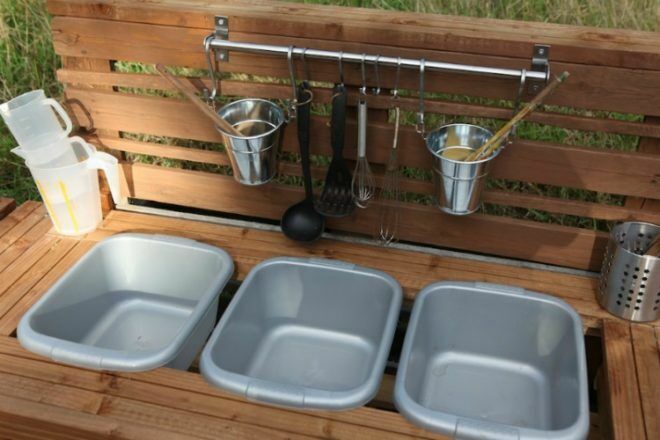 As well as pots and pans, your mini mud chef needs mixing equipment for the ultimate nature play experience. 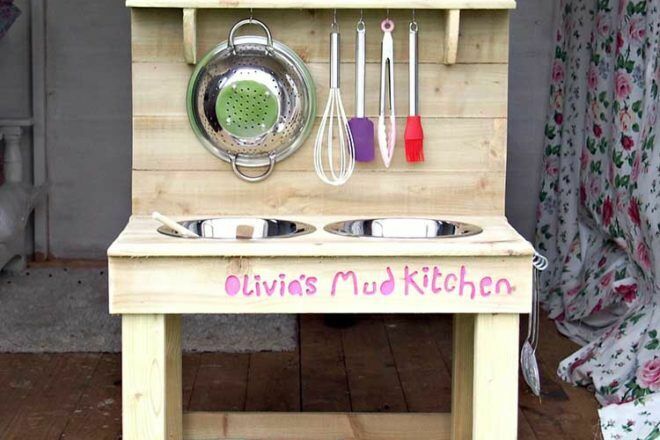 Add any old wooden spoons, ladles, whisks and spatulas to their mud kitchen area. 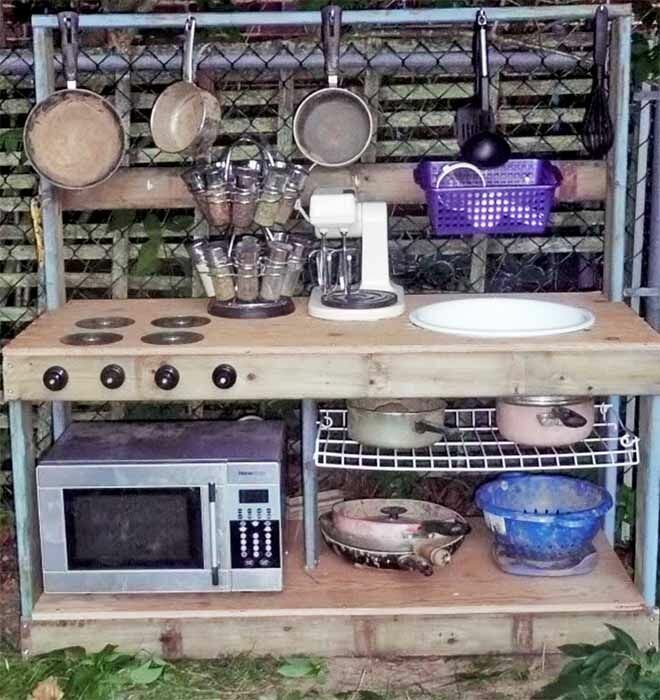 To keep everything organised, include some hooks or nails so the kids can hang these items up, a la this cute mud kitchen set up from My Model Mummy. 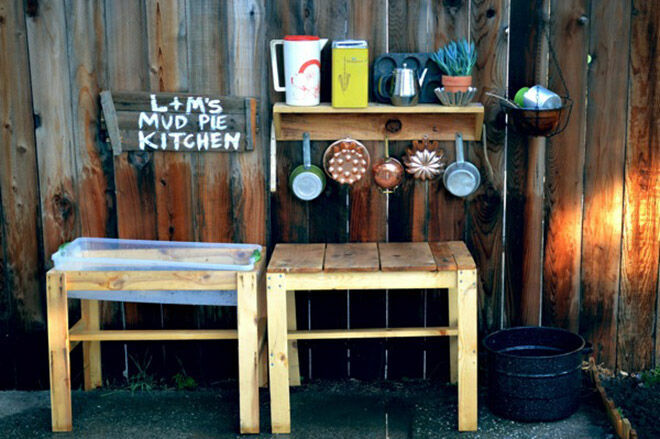 Or go a bit more rustic and whack those nails straight into the fence, like this simple DIY kitchen from Tinkerlab . Shelves offer a great way to keep track of all the different cooking items your child needs. 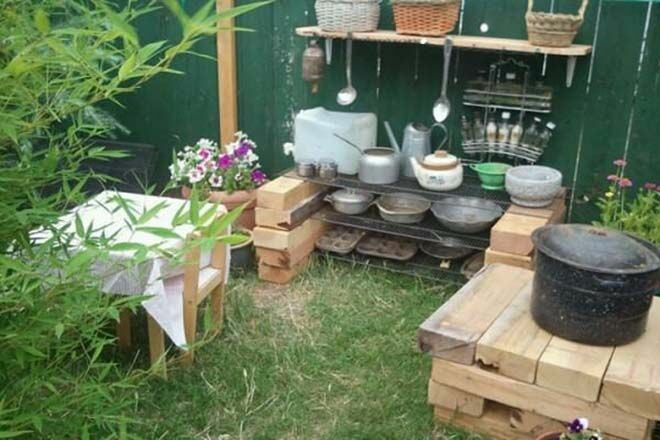 Bolt them to the back fence to define your mud kitchen space, then add simple benches underneath and a few cute jars and accessories on top to complete the look, just like this one over at From Faye. 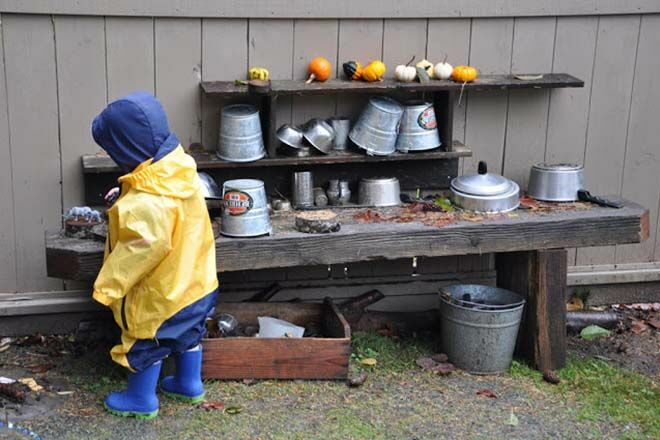 Invest in a few waterproof aprons or smocks to keep handy near the mud pie station because for sure the kids are going to splash water as well as mud about. Take a leaf from Stomping in the Mud and make sure gumboots are nearby too to keep tootsies dry, especially if the weather’s not so warm. If you don’t have a garden, a tub of dirt will do just fine. And keep the hose handy to easily clean off the kiddies (and the kitchen) when their messy play is complete. Every great chef needs adequate space to wash up. 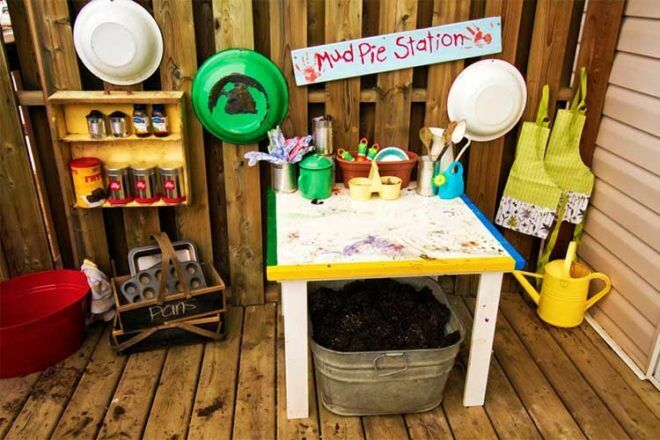 A few plastic buckets are a necessity for a mud kitchen – this beauty’s from an English preschool – and can easily be hosed down after the messy play is over. 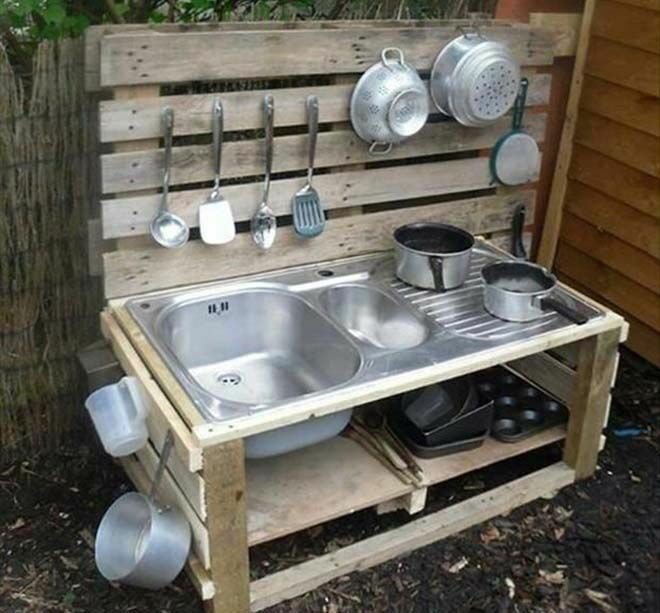 Or go fancy and find a real kitchen sink in a second-hand building yard to add to your outdoor mud kitchen. Now you’re cooking! What’s for lunch today? Delicious dirt-themed dishes of course! 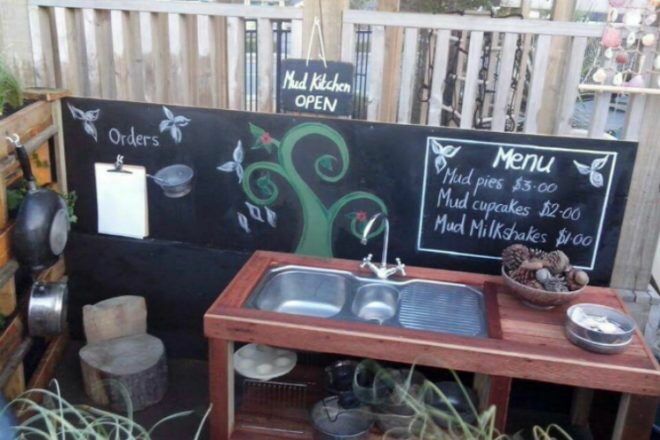 Be like New Zealand’s Nature Play Preschool and add a chalkboard to the mud kitchen so your little one can keep track of his muddy meal plans. Don’t want to ruin your fancy plates? Not a problem! 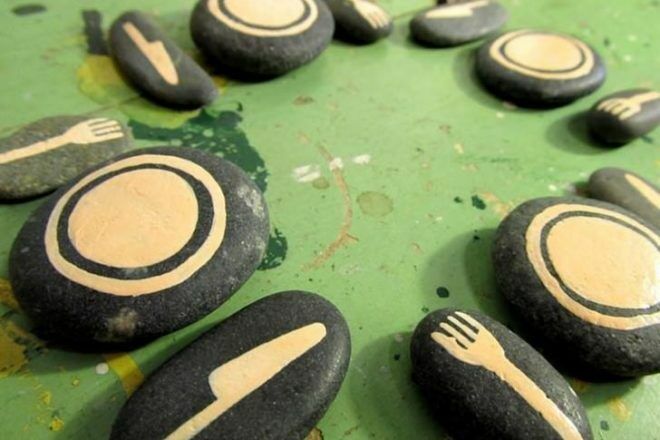 Collect stones from the garden and add some fresh paint to each one for their very own stone table setting. Add a table and chairs and enjoy a delicious dirt-theme dish at an outdoor mud cafe. Bring you indoor set outside and put a tablecloth over the top to keep it clean. 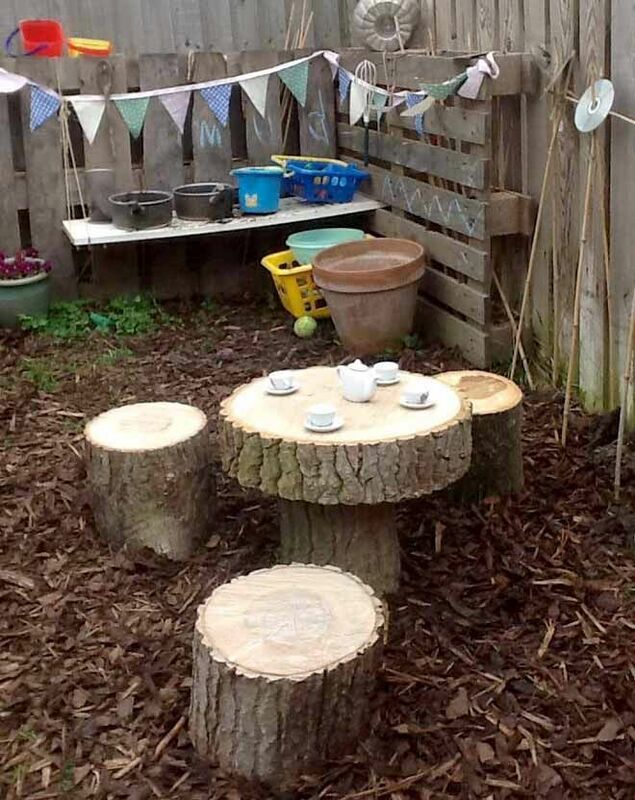 Or go au natural with a tree trunk table and chairs that are so stinking cute, the kids will want to have all their meals outdoors! Even the ones that don’t involve mud! What goes best with spoonfuls of soil? 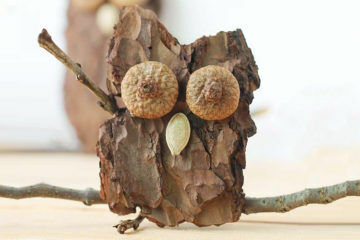 How about some delicious rock fruit? 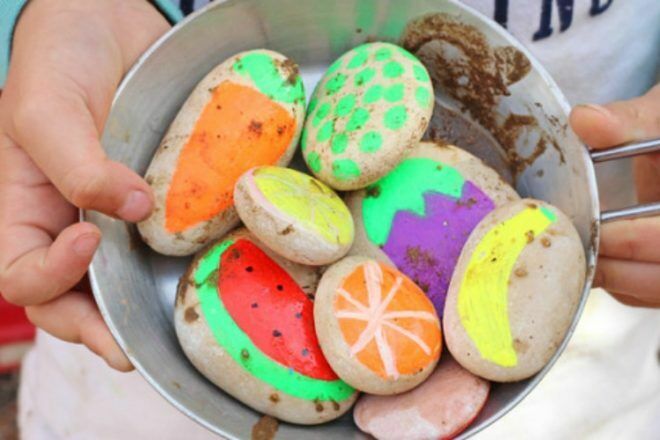 Gather some stones and paint an assortment of fruits and veggies onto them, just like these from Munchkins and Moms. Let the kids collect leaves, flowers, gumnuts, stones and other “ingredients” for their muddy culinary concoctions. 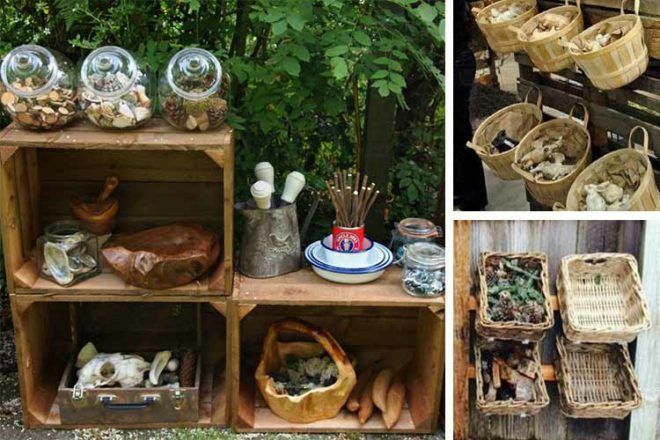 Add some jars, buckets and baskets to your backyard mud kitchen, like we found over at ABC Does. A dirty dessert is all you need to top off a delicious menu. 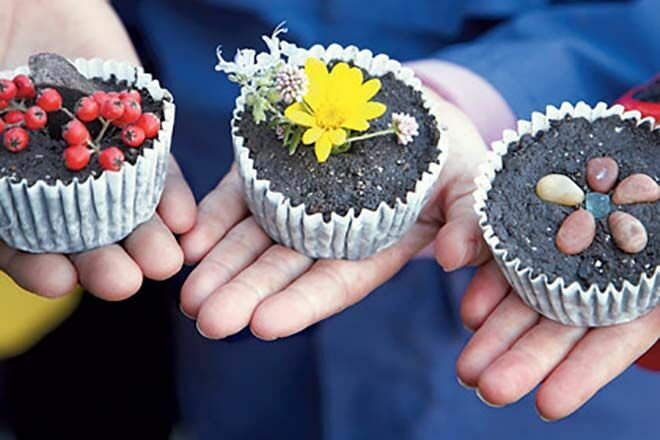 Create mini mud cakes using cupcake wrappers or do it Happy Hooligans style, with reusable muffin moulds. Yum yum! 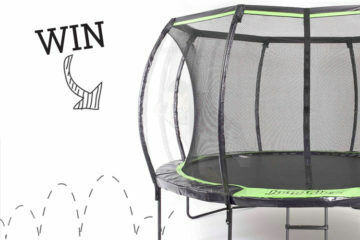 We’ve got heaps of other great ideas to keep the kids busy outdoor, including ideas for a kid-friendly back yard and even more creative backyard play ideas for kids.